JOHNNY DEPP is taking his new role as the Mad Hatter literally - he has been caught eating his hat. 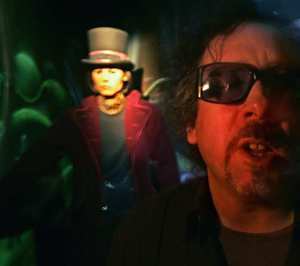 The Hollywood star portrays the famous character in director Tim Burton's new version of Alice in Wonderland, and he has been amusing crewmembers on set with his strange behaviour. Burton, who was worked with Depp on numerous film projects, including Charlie and the Chocolate Factory and Sweeney Todd: The Demon Barber of Fleet Street, says the actor is embracing his latest role. He says, "Nobody plays oddballs better than Johnny and he's loving playing this one. He actually ate his hat the other day. No word of a lie he just bit into the brim and chewed."